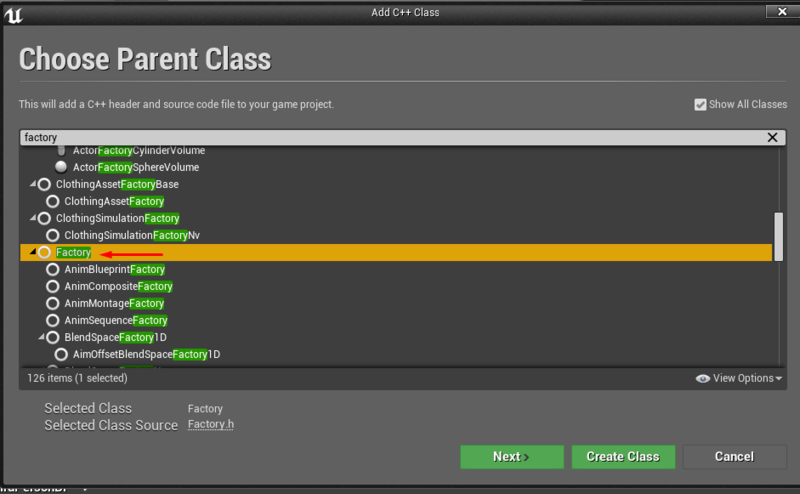 One class (named XFactory where the X stands for the asset’s class name) that constructs the above class as an Editor asset (meaning a .uasset file). 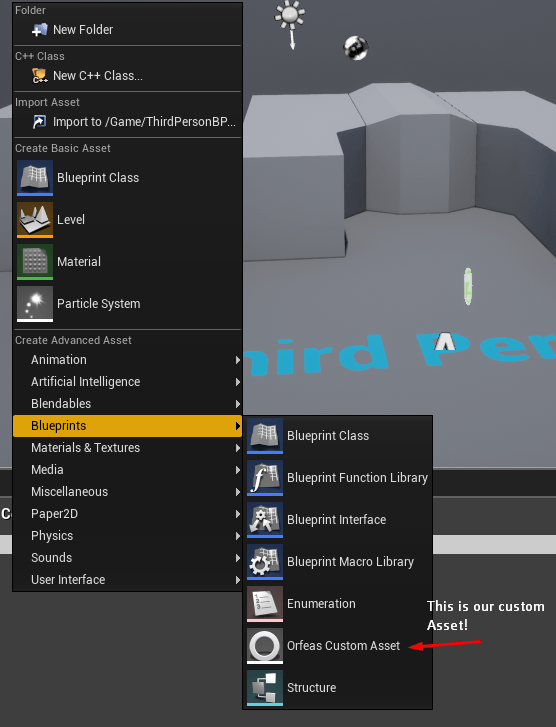 For most assets, their factory classes are inside the EditorFactories files of the Editor. For example, when you’re creating a new Texture inside the Editor you will be presented with the various properties that are written in the Texture.h file. However, the class (named UTexture2DFactoryNew) that constructs this asset in the Editor is contained inside the EditorFactories. 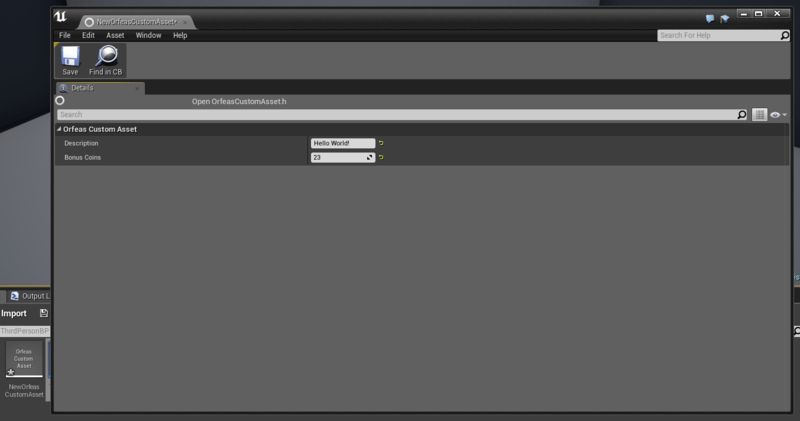 So, let’s create our custom editor assets. The default thumbnail for your new asset is simply the name of the Asset’s class. In case you want to have a customized thumbnail you need to create a new Slate style and bind it with this asset’s class. As a last step, make sure to mark your plugin’s type as Runtime instead of Developer so you can ship your project successfully. Save and compile your code. Then, restart the Editor. 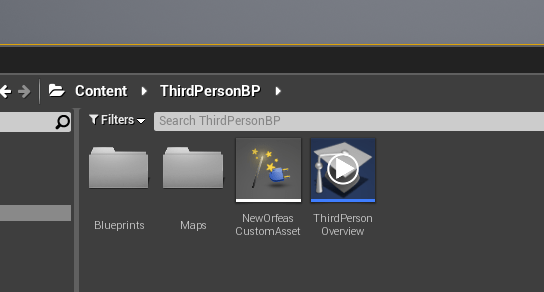 This is really helpful, I just wish there was information on creating editor menus as I can’t seem to get past this part to actually making a functional asset instead of something that just stores data.